This competitively priced 15,000 sq ft building is great for manufacturing. This property was once the home of Wiebel Aerospace. The property is in great shape and looking for an offer. The price does not include equipment in the building. There are lots of options here at a great value. The storage area on the second level actually brings the total area over 15,000 sq ft. This is sold "as is where is". 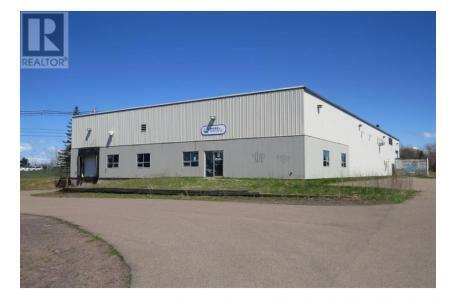 This building is immediately adjacent to the Summerside Industrial Park. Nearby businesses include Maritime Paper Products, Fitzgerald & Snow, East Prince Funeral Home, Summerside Tax Centre, Centennial Nissan, and Illsley's Feed & Farm Supply. Also nearby are Credit Union Place and the Confederation Trail.